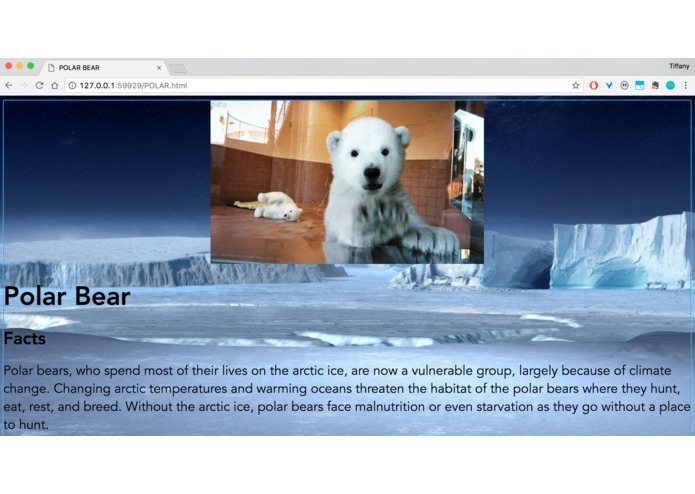 Compiles pictures and facts of endangered and vulnerable animals, along with links to how people can donate. 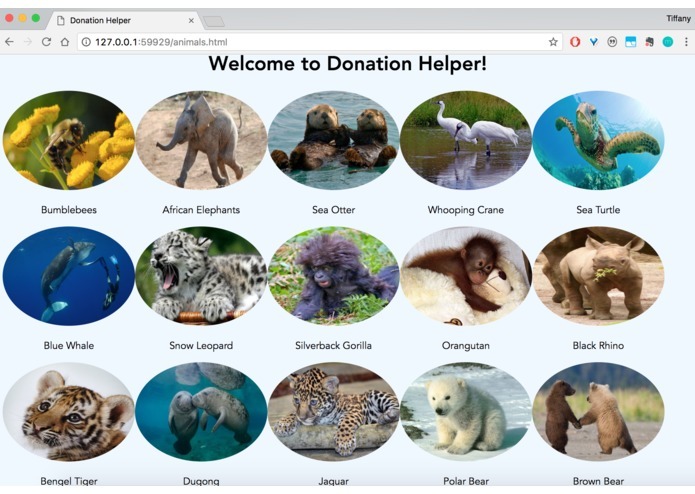 We are all passionate about the environment, and we were trying to figure out how we could make a website that can connect people to ways to help the environment. 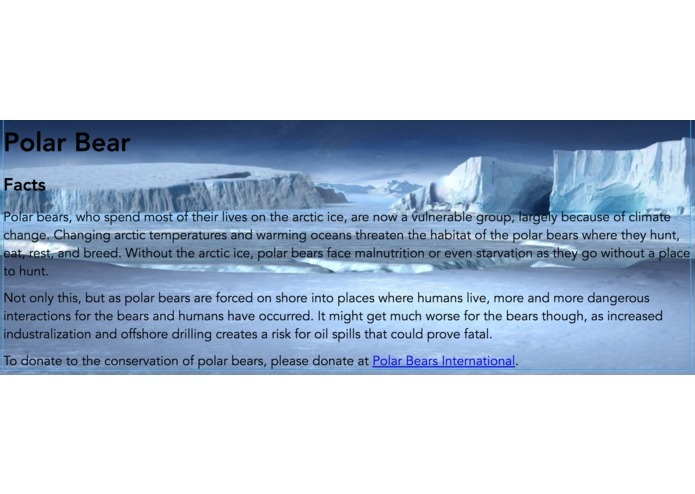 It is a website that compiles pictures and facts of endangered animals, and includes links on how to donate. None of us have ever really coded or hacked before, so we had really limited knowledge. We used our newfound knowledge from the HTML/CSS front end workshop and a lot of googling to put this together. We had some challenges, mostly because none of us really know how to code and have never been to a hackathon, but we asked for help from others and used a lot of google to do it. We're proud that we actually put together a working website and could enter a submission, something we never thought we would be able to do. What we learned: HTML! But also that hackathons are fun, and coding is not as impossible as it seemed.